Im big into skincare, getting to try new products just makes me happy and even though its a chore I do love taking my makeup off in the evening and doing my full skincare routine. 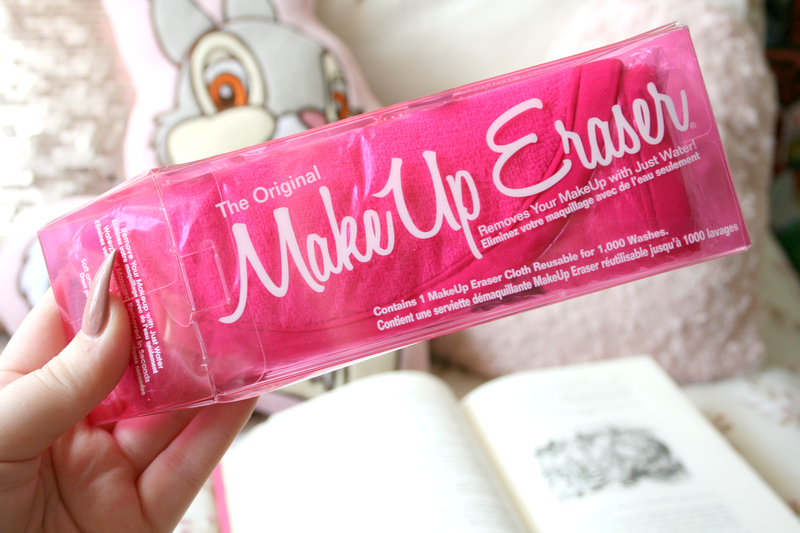 Last month I got given The Original Makeup Eraser as a gift from work and I was quite excited to give it a try. I hadn't heard much about this to be honest. I did know it was one of those things that claimed it would remove even waterproof makeup with just water but review wise I hadn't seen any. I must say though I really like the packaging, it's a giant eraser and honestly the packaging alone would probably make me buy this myself because of how novelty it is. The product itself is a large pink cloth and it is honestly the softest thing I've ever placed on my face. It feels like a baby blanket and it's just so soft. Not to mention it's bright pink and who doesn't love that?! I will admit I didn't use this straight away because even though I was excited I was also iffy, I have quite sensitive skin so if I use the wrong thing against it, it just hurts and goes as red as a tomato. However I got up the courage and decided to take my makeup off after work using this. To use it you simply add water and then rub in circular motions around your face to remove makeup. Well yes and no, it's not life saving and to remove your whole face of makeup I'd imagine its going to take some time. It kind of only half removes your makeup, I don't know maybe the foundation I use is too thick but it breaks through half of it and leaves like another layer behind. I've tried this several times and honestly I'd much rather just do my actual skincare routine to remove my makeup than use this. It could be handy if you wear very minimal makeup but for me it just doesn't work. This retails for €23.00 and to be honest I'd rather spend the money on face wipes and I'm not a fan of wipes but I just feel like if you're looking for something to remove your makeup fast they're the way to go. After I would use this only using water felt weird so I would still go in with micellar water after it to just make my face feel clean, and then I would continue with my skincare routine. So I wasn't a fan of this which is sad because it would have been life changing if it had of worked out. 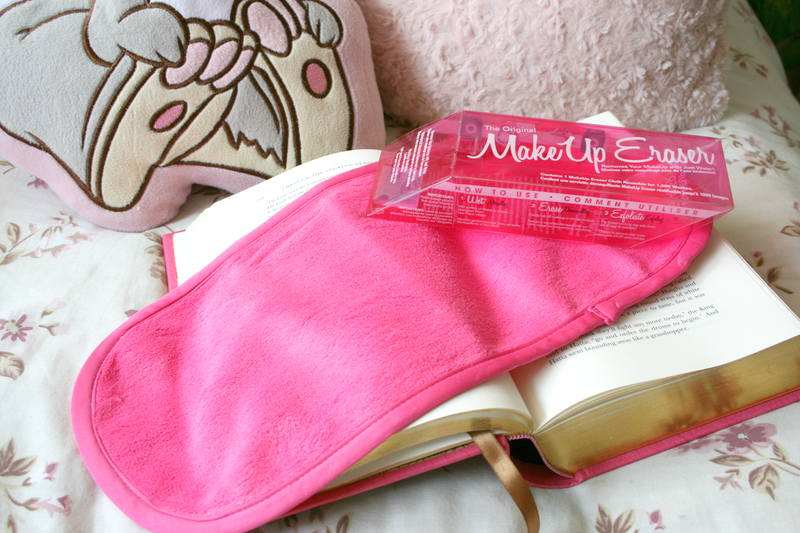 Have you tried The Makeup Eraser, what did you think? Definitely not one I would be buying! Micellar water works so well and doesn't leave you scrubbing away at your skin! Worth a try but why anyone would invest in this is beyond me! Good things yours was a gift, eh. I'd seen this on a few websites and honestly had no idea what it was or how it worked - sounds really interesting though, shame it doesn't work amazingly though because if it did I'd be on that!